Departure City:: Santiago International Airport (SCL), NOV 30 after 7 PM OR Trip Extensions Ride with PKH to Pucon Creek Week. MOST POPULAR – 20% DISCOUNT. Want more! 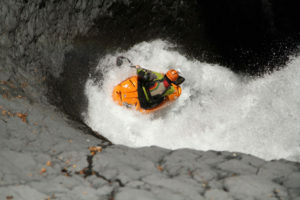 Claro kayakers qualify for discounts on Pucon Creek Week Trip Extension. Register for Claro and you will receive a discount code. Claro +PLUS is a road trip just for waterfall lovers seeking adrenalin filled days exploring one of the world’s greatest whitewater anomalies. The Claro canyon aka Seven Teacups National Park drops kayakers into a 57 million year old basalt chasm that is polished, milled and carved perfectly banking and dropping kayakers like no other destination. Explore one of the world’s most iconic river canyons. +PLUS offers an added valley of river sections just north or south of the Rio Claro Valley giving kayakers more than just one river of waterfalls to their trip. 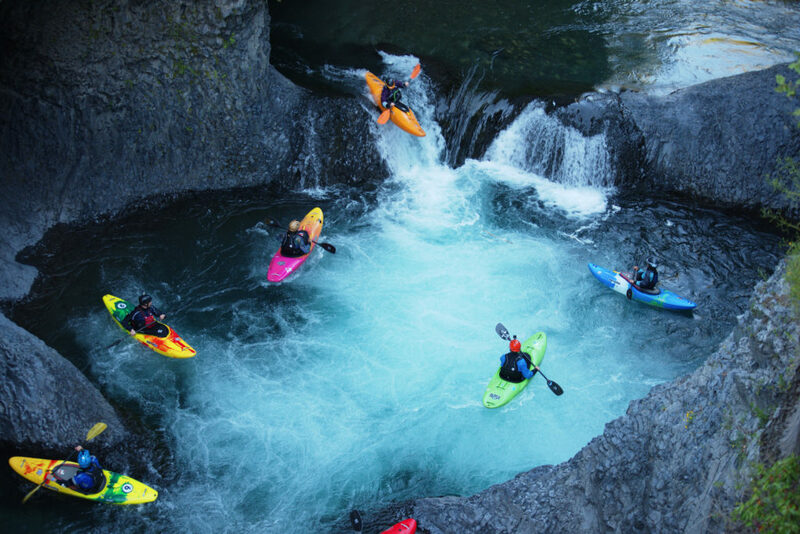 With drop after drop after drop of clean waterfalls, slots, and cascades – the Rio Claro delivers multiple sections for intermediate and advanced kayakers in a narrow basalt gorge unlike anything you have ever seen. 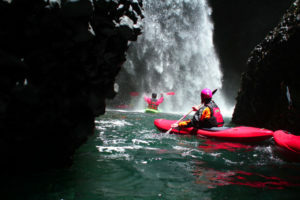 Guests on this trip will explore the Claro by spending several days based inside Seven Teacups National Park paddling sections like the infamous Garganta del Diablo (or “Throat of the Devil”), notorious for the 180-degree two-tiered waterfall of the same name that drops you into one of the lower canyons. Last moment coaching above the 25 footer on the 22 Saltos section. YES. Just three hours south of Chile’s capital hides a national treasure, — the Seven Teacups National Park. Tourists, like kayakers, are attracted to the photogenic clear blue canyon and an incredible series of clean waterfalls that seems to stretch for miles. Each “salto” is perfectly formed with a round pool or “taza” at the bottom. The canyon may best be described as a desert crack in the earth, a basalt core strata wall that the nearby snowy peaks of the Andes Mountains have melted, drained, cut, milled, carved, and polished over millions of years in the annual course to sea. Some falls flow straight, some have corner boofs, others have ramps, and some sections even have drops riding along walls or flowing for over 70’ through a slot only slightly larger than the width of your kayak. This Claro trip adds the Rio Nuble to its itinerary as our entourage of kayak vehicles travels south back to Pucon. The Nuble has 3 large dams being built above its clear blue playful class II to IV. We typically drive high into the Andes to explore more challenging sections of class III and IV granite boulder gardens. This is the perfect river addition to our Teacups adventure. Arrival to Santiago International Airport (SCL) before 10 AM. Drive to Seven Teacups National Park aka Rio Claro sections. PM – Afternoon run on Seven Teacups Section. AM – Kayak Theory. Seven Teacups Section. PM – Vientidos Saltos “Twenty-two Falls” Section. GAME TIME. AM – Kayak Theory. Vientidos Saltos “Twenty-two Falls” Section. PM – Seven Teacups Section. AM – Kayak Theory. Garganta del Diablo “Throat of the Devil” Or River Optional Section. Day 5 (NOV 28): Andean drive out of one range and into another valley. Gorgeous. AM – Dawn Patrol Option. Pack for Rio Nuble run. PM – Drive to San Fabian base camp for afternoon hike or kayaking. Day 6 (NOV 29): Drive high into the Andes Valley to a vast big sky range, granite boots and clear water … kayaker heaven. AM – Repeat Upper Valley or Paddle Lower Valley Section. PM – Farewell Asado Feast San Fabian style. Our Chilean host family will give us an authentic Chilean asado feast like you’ve never experienced. Laughter, photo and video sharing of the best week of kayaking, and new friendships with the best people. OR return to Pucon if you have a Trip Extension. Five sections with 70 +PLUS clean waterfalls class III to IV+. 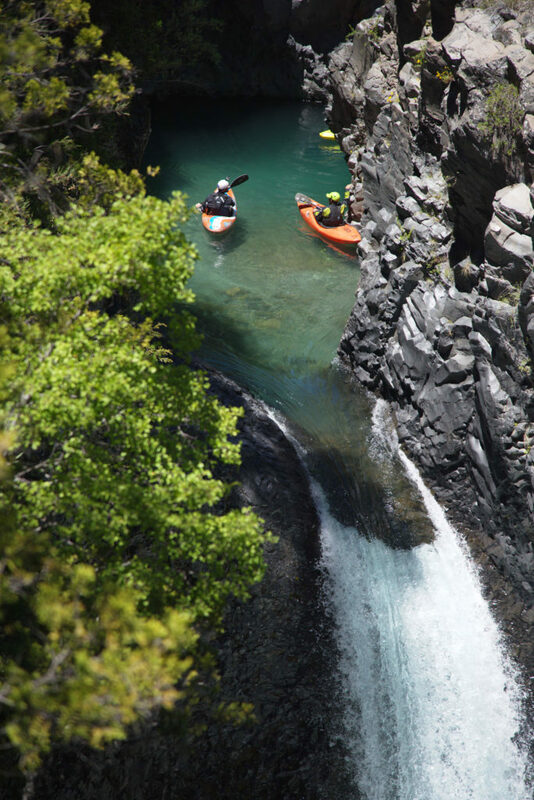 DISCOUNTED TRIP EXTENSION: Claro +PLUS Pucon Creek Week; kayakers receive 20% DISCOUNT on the second trip. Want to sign up for the Trip Extension? Register for this trip and we’ll send you a discount code so you can sign up for the Pucon Creek Week trip at a discounted rate. The Claro Canyon is an intense place. Access requires hot hiking typically about an hour before or after your section. It’s a best idea if you come to Chile in shape with your hiking legs ready. Passing and lifting kayaks, strenuous hiking into and out of canyons, and water dehydrating hikes are a mandatory part of the trip. On the water… that is both the fun and easy part. We recommend before your trip that you kayak often, are part of a normal hiking or workout routine, and who couldn’t lose some weight? Workouts like Crossfit… we love them. Yes, get in shape it will help your confidence as you paddle too.